It was as if the concept of "gravitas" had walked in and taken a seat. Last Thursday, Con Hogan made a now-rare return to familiar stomping grounds. He came to the Statehouse to testify before the House Corrections and Institutions Committee about a proposed mega-prison floated by state officials. Hogan is a former state corrections commissioner and human services secretary whose service in state government dates back to the early 1970s. He's a onetime independent candidate for governor and former member of the Green Mountain Care Board. His broad expertise has made him a go-to person for state commissions and task forces of all kinds. The Vermont Community Foundation gives out an annual Con Hogan Award for community leadership, for Pete's sake. But in recent years, health problems, including a life-saving kidney transplant in 2016, forced him to retreat from public life. Hogan walked with a cane last week. He didn't have much energy to spare. But he had a firm purpose: to drive a few nails into the prison plan's coffin. Members of the committee listened quietly as he meticulously made his way through six and a half pages of written testimony. They seemed uncharacteristically awestruck. Chair Alice Emmons (D-Springfield) noted — when her call for questions from committee members initially went unanswered — that her panel is rarely at a loss for words. Afterward, Hogan's wife, Jeannette, retrieved his cane, and they headed for the hallway. Several legislators made a point of greeting Hogan, thanking him for his testimony and inquiring about his health. It was high drama in a low-key, legislative sort of way. And there was no doubt that his words had an impact. The idea of a mega-prison — pardon me, "prison campus" — was introduced in a report to the legislature written by Human Services Secretary Al Gobeille. He outlined a plan for a $150 million complex with a 457-bed men's prison and a 175-bed women's prison, as well as beds for U.S. Marshals Service detainees and special facilities for sick or elderly inmates, child offenders, and mentally ill inmates. Gobeille floated the notion of a rent-to-own deal, in which a private contractor would build the complex and lease it to the state over 20 years. Seven Days has reported that CoreCivic, a private prison operator formerly known as Corrections Corporation of America, met with state officials last year to discuss such a plan. Top lawmakers greeted the idea with a collective "Hmm, we'll see." No one has endorsed it. And Gobeille's boss, Gov. Phil Scott, has made no effort to promote the plan. He didn't include it in his budget address, and his current stance reeks of disinterest. "As the governor said when the legislatively required report was issued, he supports the vision and appreciates [the Agency of Human Services'] work to identify a road map for better aligning our facilities with our human services needs," Scott spokesperson Rebecca Kelley wrote in an email. "As he said, we recognize a lot of work must be done ... to come to consensus on both immediate and long-term next steps." Not exactly a ringing endorsement. Nice little dig at the legislature, though. Hogan's testimony was a thorough, point-by-point takedown of the plan. Vermont's corrections system works because it's spread around the state, he said, while a "campus" would be isolated from community. Prisons "are schools of crime; large facilities are even better schools of crime." Large projects are prone to cost overruns. Putting mental health patients in a prison complex is a bad idea. Building beds for federal detainees, simply to harvest revenue, is also a bad idea. Demographic trends indicate a likely decline in inmate populations. Reducing the number of inmates "should be our first priority, not building more beds." And "private prison corporations cannot be trusted." Hogan spent his early adulthood working in large prisons, rising from line officer to senior administrator. On several occasions, he had to confront and defuse inmate uprisings — a much more common occurrence at large facilities, he noted, than at smaller ones. And then he told the committee a story he said he'd never related publicly, about a 1971 riot at a large prison where he worked in Rahway, N.J. "The inmates captured the superintendent," he said with a faint quiver in his voice. "They raped him until he almost died." There was an audible gasp in the room. "That's never left me," he said. There was much less drama the following morning, when Attorney General T.J. Donovan offered the committee the same conclusion: The prison complex is a bad idea. He noted that Vermont's inmate population has fallen substantially and that the trend is likely to continue. "When I look at the numbers today, all the trends are downward," he said. "The only growth is among the mentally ill and elderly. "I don't have a problem putting bad people in jail, [but] public safety means giving people the chance to reenter the community," he continued. Rather than investing in iron bars and razor wire, Donovan called for more transitional housing, community mental health services, and opiate prevention and treatment. Hogan and Donovan each endorsed Gobeille's call for a new facility for mentally ill inmates and a unit for elderly inmates, which are both in the governor's budget proposal. But the mega-prison idea had few signs of life as last week began. Testimony from Vermont's top prosecutor and a deeply experienced and respected voice on human services policy may have quietly buried it for good. When last we checked on the Vermont Democratic Party's finances, they were at a low ebb. In September, the party temporarily postponed issuing a round of payroll checks. So how are things looking now? "We continue to get by by the skin of our teeth," chair Terje Anderson told a gathering of the state party committee on Saturday in Barre. "We're still not where we need to be financially. We need more small donors and more monthly sustainers." At the end of January, Anderson reported, the party had about $3,000 in cash on hand — and still owed a $9,000 catering bill from a November fundraiser. Monthly expenses, he said, are about $35,000. The bulk of that goes to staff salaries. The Dems will have to scrounge for at least $11,000 just to avoid missing another payroll in mid-February. "We need to get out of that rut," Anderson said. A big part of the problem, he explained, is a widespread feeling of betrayal left over from the 2016 presidential primary campaign in which Hillary Clinton defeated Sen. Bernie Sanders (I-Vt.). "State fundraising has been hurt by continued discontent with the Democratic National Committee," he said. "Donors are not willing to give until DNC reforms are put into effect." Many Sanders supporters saw the delegate selection process as weighted toward Clinton. In response, the DNC created a Unity Reform Commission to devise fixes. The panel has come back with a batch of proposals including a big cut in unpledged superdelegates, Democratic bigwigs who largely supported Clinton at the 2016 convention. Vermont's Democratic Party is solidly behind the reforms — but it'll be a while before they can take effect. "It won't happen until November at the earliest," said former state lawmaker Tim Jerman, who was elected on Saturday as one of two Vermont members of the DNC. He replaces Anderson, who had to step down when he became state party chair. "The DNC only meets twice a year," Jerman explained. "We will meet in early March, but the rules and bylaws committee won't be done reviewing the recommendations by then." But even in November, approval is not a sure thing. Changing the superdelegate rules will require a two-thirds vote, "a heavy lift," Anderson noted. And even if the recommendations are adopted, progressives may not be satisfied; the current proposal would not eliminate superdelegates, but reduce their number by 60 percent. The remaining 40 percent, unbound to any candidate, would include Democratic members of Congress, U.S. senators and governors, plus former presidents and former DNC chairs (including former Vermont governor Howard Dean). "The Congressional Black Caucus fought very hard against anyone taking their votes away," noted Anderson. Meanwhile, in case you were wondering, the Vermont Republican Party continues to stay above water, although in a smaller boat. At the end of December, the VTGOP had nearly $19,000 cash on hand, a substantial nest egg by its humble standards. (It began the year with a more typical $2,500 in the bank.) Through the course of 2017, the Vermont Republicans raised $239,000 and spent $223,000. By contrast, the Dems raised more than $600,000 and spent almost all of it. As the state parties muddle along, Vermont's congressional delegation continues to sit on massive bankrolls. The latest campaign-finance filings show Sanders' reelection fund has more than $6 million, Sen. Patrick Leahy (D-Vt.) has about $1.7 million and Congressman Peter Welch (D-Vt.) has more than $2 million, the bulk of it raised from political action committees. Dr. Dan Freilich, who's challenging Welch for the Democratic nomination, has less than $40,000. And that's precisely the point of Freilich's long-shot campaign: the incumbent's participation in what Freilich calls a corrupt system. "It's not specifically about him, but about establishment Democrats touted as 'progressives,'" Freilich explained. He counts Welch and Leahy as members of the party establishment who "don't represent the heart and soul of the Democratic Party." Welch opposes big-money politics but argues that in the current system he needs a healthy campaign fund. "At the drop of a dime, there can be serious money flooding into any congressional district in the country," he said last Friday, when asked about his well-stuffed war chest. Freilich looks at it differently. Welch's involvement, he said, helps "enable a corrupt system to continue." Four issues top Freilich's priority list: campaign finance reform, economic inequity, single-payer health care and climate change. "Dr. Dan" is a Navy vet who retired from active service with the rank of captain. He lives in West Windsor and practices internal medicine at the Veterans Administration Medical Center in White River Junction. This is his second venture into politics; he ran against Leahy in 2010, winning a hearty 11 percent of the Democratic primary vote. "Statistically, am I likely to win? No," he acknowledged. "But it can happen." He hopes to raise at least $100,000 for his campaign; with that much money, he believes he can be competitive. The real question that primary voters should be answering is this: Does Welch deserve to keep his job, or is it time for new blood? But in this age of big-money politics, no matter how deserving the challenger, the primary just won't be a fair fight. 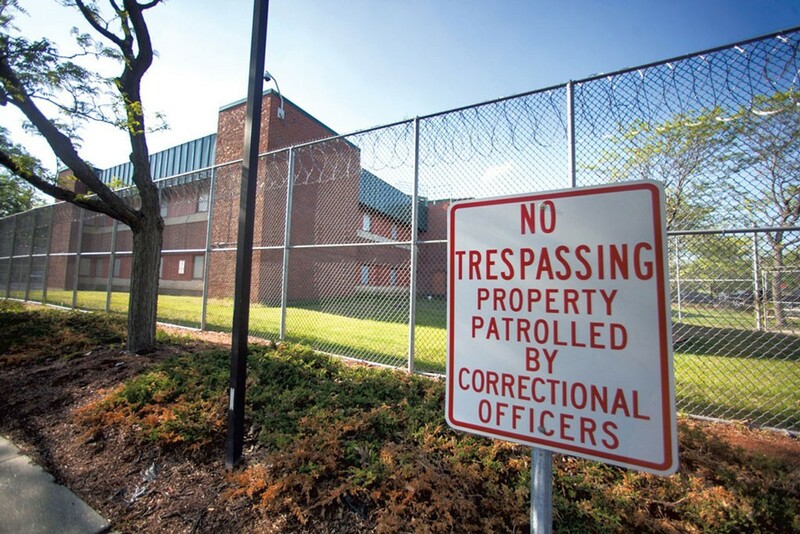 Private prison contractor CoreCivic and another company called Central Falls Detention Facility Corporation have submitted bids to house more than 200 Vermont inmates in privately run prisons outside of the state. In this episode, Bryan and Dinvinity Shakrah dance around some of the topics covered in Seven Days' Love & Marriage Issue.